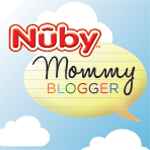 I'm excited to be continuing my partnership with Nuby in 2014 as part of their Nuby Mommy Blogger program. My first review of the year is on their Booster Seat. My Farmer and I picked out a high chair we got one that could transition into a booster seat. It was a good idea but we never did it. We've just kept it as a high chair and found my old juice can stool that my Great Grandma made me and used that as a booster seat. The juice can seat worked out great for a long time but it has really started showing it's wear recently, after all it is probably 25 years old... So I was on a quest for a booster seat that was easy to clean, could fit an almost three year old and that could be secured to a chair. I found just what I was looking for in Nuby's Booster Seat. Nuby's Booster Seat has a wide sturdy base that can hold children 65 pounds and less. It is very durable and easy to clean. Another nice feature is that it can be fastened to a chair. I recommend this chair for anyone looking to give their child a little boost so they can sit at the table. 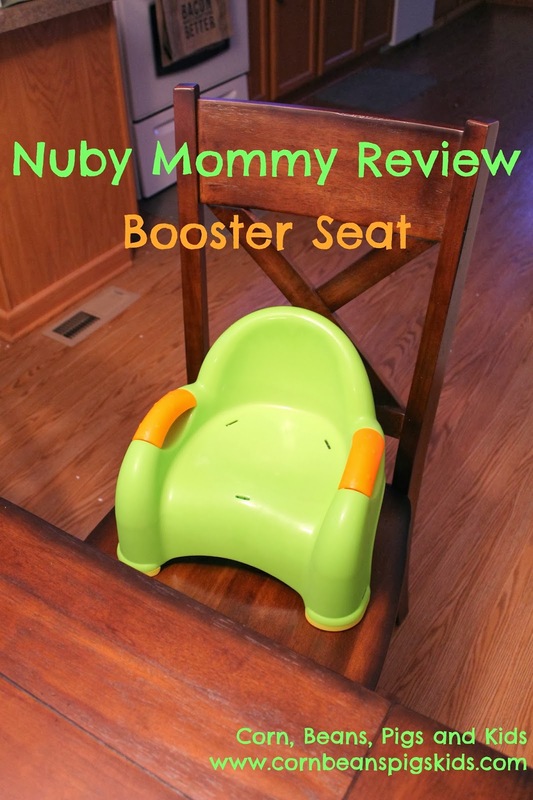 If you are interested in getting a Nuby Booster Seat for your house, check them out on BuyBabyDirect.com. Also, be sure to check out my other Nuby reviews on their Fun Drinking Cups, Clik-it No Spill Grip n' Sip, Tear Free Rinse Pail, Snack Keeper and Fun Feeding Bowls. 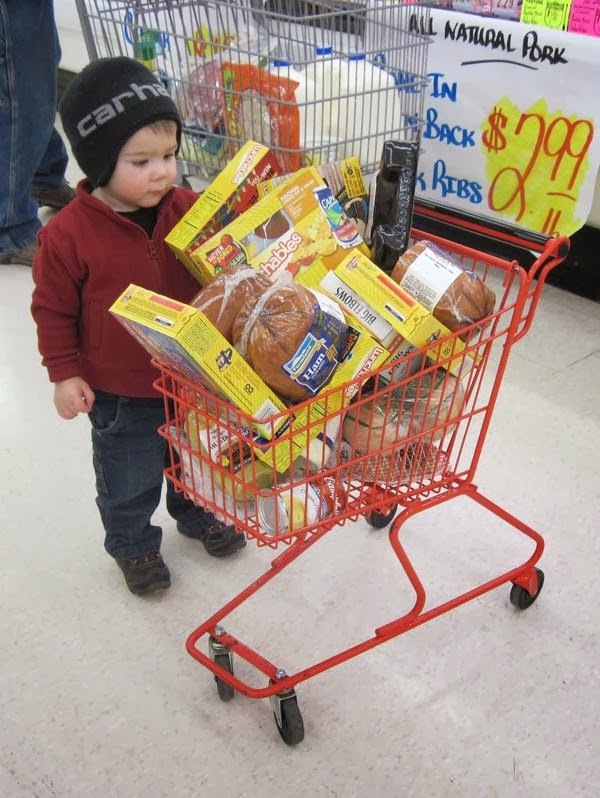 When did you move your kids from a high chair to a booster? For the last week I feel like I have neglected my to-do list, including blogging, and I'm not sure why. I remember the days where I use to get several of my to-do list items done daily, the days where I made time to talk and connect with friends, the days where I made my ideas a reality and not just another item on another list. The thing is, I have probably felt this way for a little over a year. When it all started I made the excuse that is was because I was pregnant. And then after MP was born I made the excuse that is was because I had a little baby in the house. And lately I've been telling myself that the excuse is because I have two kids two and under that I take care of all day, every day. Well today starts not making any excuses for myself. Today I join almost 40,000 other women from across the world in an online bible study from Proverbs 31 Ministries called Made to Crave. I hope this online Bible study will help me stop making excuses and feel good about myself today. I hope it will help me reach my goals and grow closer to God in the process. I have never participated in an online Bible study before. I look forward to it's flexibility to fit in my schedule and still have a community of others that I can connect with to share, pray and focus. If you are interested in joining the Made to Crave Bible study stop making excuses and join today. If you don't have the book yet, you can read the materials online. Are you participating in the Made to Crave Bible study? Have you ever participated in an online Bible study before? 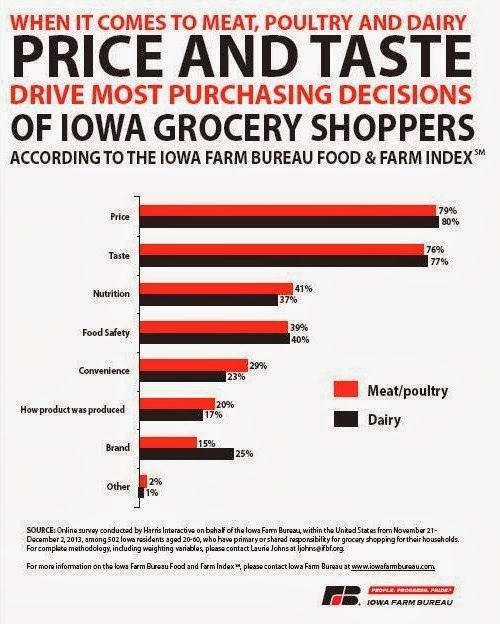 I know a couple other women participating in the study and would love to hear from some more! Six years ago today My Farmer and I said "I do". We had a beautiful wedding and a fun reception with many family and friends by our side. At the end of our 1st night as Mr. & Mrs. Following our wedding we took a cruise along the western side of Mexico. 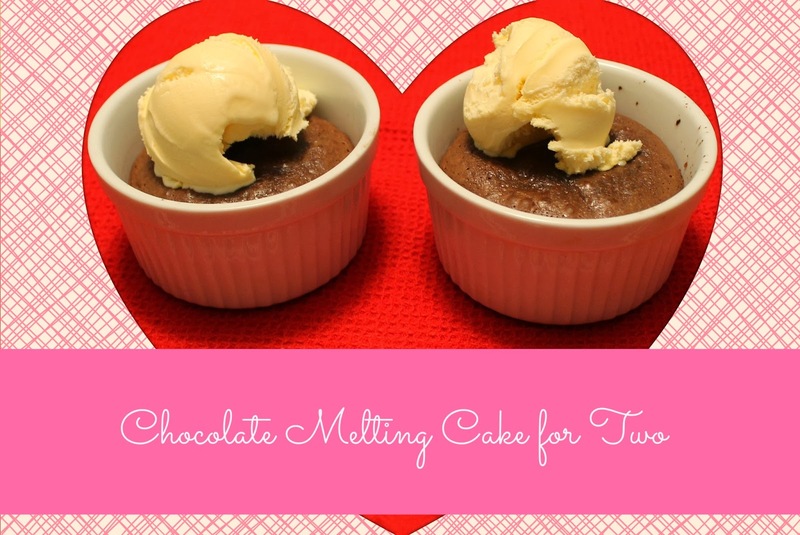 While on our cruise we fell in love with the cruise boat's Chocolate Melting Cake. We had it almost nightly while on the boat. So as soon as we got back I knew I had to recreate the cake so we could have it at home. I make the cake now for our anniversary, My Farmer's birthday, Valentine's Day and any other special occasion, or if I'm really craving chocolate! 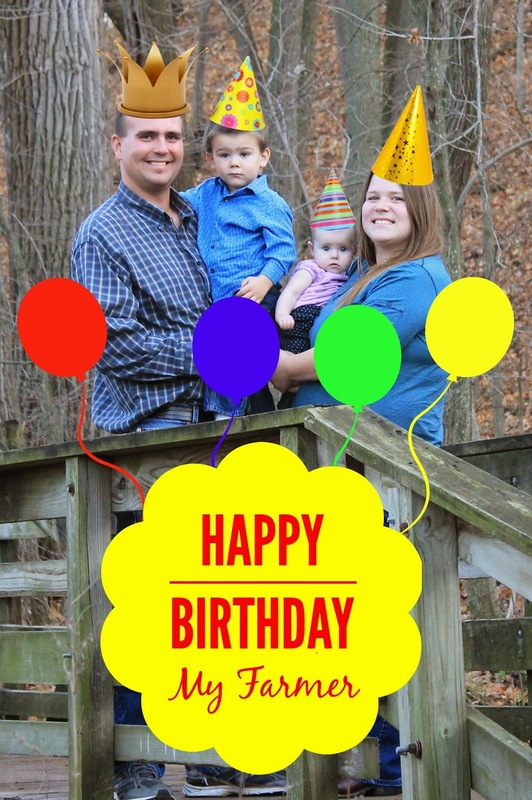 So here's to six sweet years of marriage! Butter two souffle cups and place on baking sheet. Microwave chocolate and butter on High for 1 minute or until melted. Stir with wire whisk. Blend in egg and egg yolk. Stir in powdered sugar and flour. Divide between prepared custard cups. Bake at 425 degrees for 12-14 minutes or until sides are firm but centers are soft. Let stand 1 minute. Serve immediately topped with ice cream of whipped topping. Mmm... See how it is all ooey gooey in the middle. Get a little bit of the outside, center and ice cream on your spoon for the perfect bite! What are some of your memories from your wedding day or honeymoon? Do you have any food memories that correspond with those special days? 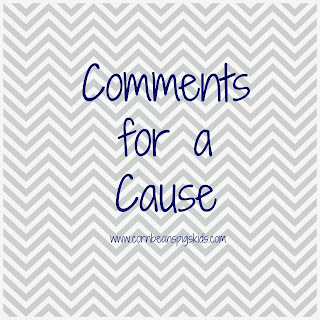 One of my New Year Blogging Goals for 2014 was to start a Comments for a Cause program. This is a program where I will donate 50 cents for every comment made on my blog to a chosen organization or campaign monthly. It was very easy to decide which organization would be my first recipient - Make-A-Wish Iowa. I think what Make-A-Wish does for children with life-threatening conditions is amazing. The hope, strength and joy these wishes bring to these children and their families is unbelievable. I have gotten to witness this magical experience first-hand through a couple different ways. The first way that I got to experience the magic of Make-A-Wish is through my cousin, Jake. My cousin Jake was diagnosed with a rare bone cancer when he was in high school. 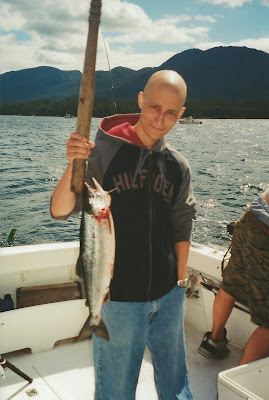 During his battle he had a wish granted to go fishing in Alaska (the photo to the right is of him doing just that!). He always said that his wish meant so much to him during his last year of life. 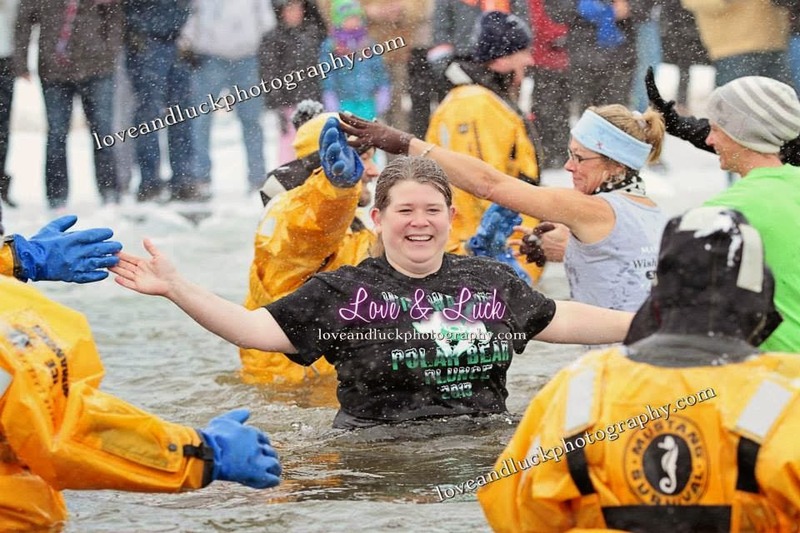 And because of that, I knew I needed to get involved, which leads me to my second way of experiencing Make-A-Wish. I wanted to help make wishes come true for others after seeing the impact it had on both my cousin Jake, as well as his immediate family and even our extended family. I have been involved with the North Iowa Make-A-Wish chapter for six years and currently serve as the chapter's vice chair. I help with wish granting, fundraising and community events. I even do some pretty crazy things to raise money for Make-A-Wish, like go sky diving (twice) and jump into Clear Lake in December (three times - I have passed on the opportunity when I've been pregnant ). I started with Make-A-Wish with the sole purpose of granting wishes, but as time has gone on have found that fundraising can be just as rewarding. In Iowa, a wish is granted every other day. In the United States, a wish is granted every 38 minutes, and, on average, a child is referred for a wish every 28 minutes. 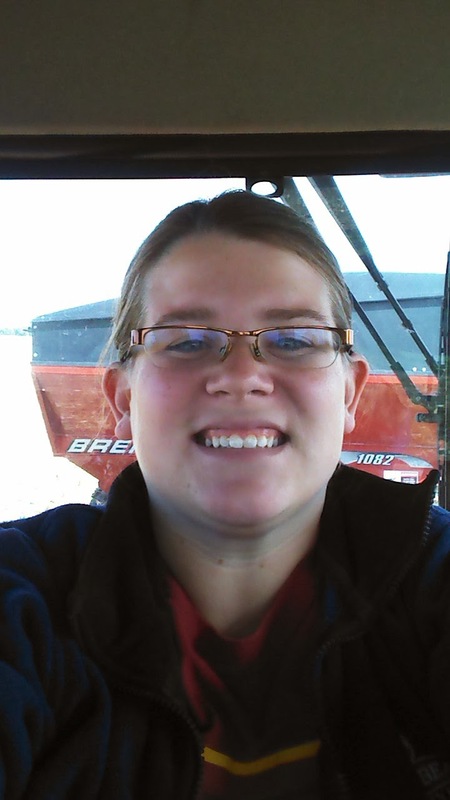 The average cost for an Iowa wish is $8,600, so get to commenting this month! Every dollar helps make another wish come true! The New Year is a perfect time for a fresh start, a clean state, or a new beginning, and that is why so many people look forward to this day. Some people transition into the New Year by declaring a resolution, making predictions, choosing three words to live by or doing nothing. For me, I set goals. Goals are great because they help you think thoroughly through your ideas. 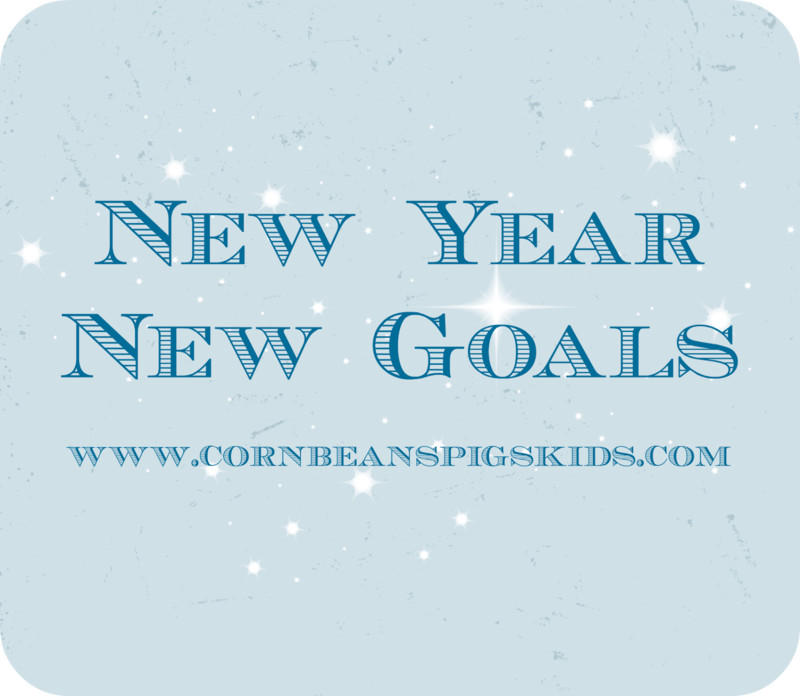 I can't help but think of making goals for 4-H in my youth when I write down my goals every New Year. A goal must contain 1) the action, 2) the result, and 3) the timetable. My goal is for our family to go on dates with each other, My Farmer and I, My Farmer and LP, My Farmer and MP, LP and I, and MP and I, four times each this year. My goal is to create more me time by waking up at 6:30 am daily to do things I find enjoyable. I will also plan on connecting with friends by doing something special for a friend monthly. 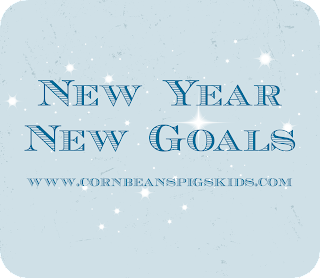 My goal is to preserve memories and special dates for my children by journaling in specific journals for each kid. I will keep the journals in my office where they are easy to get to. I will plan on journaling at least once a month. My goal is to promote my blog more by sharing each post on Pinterest and Google+. 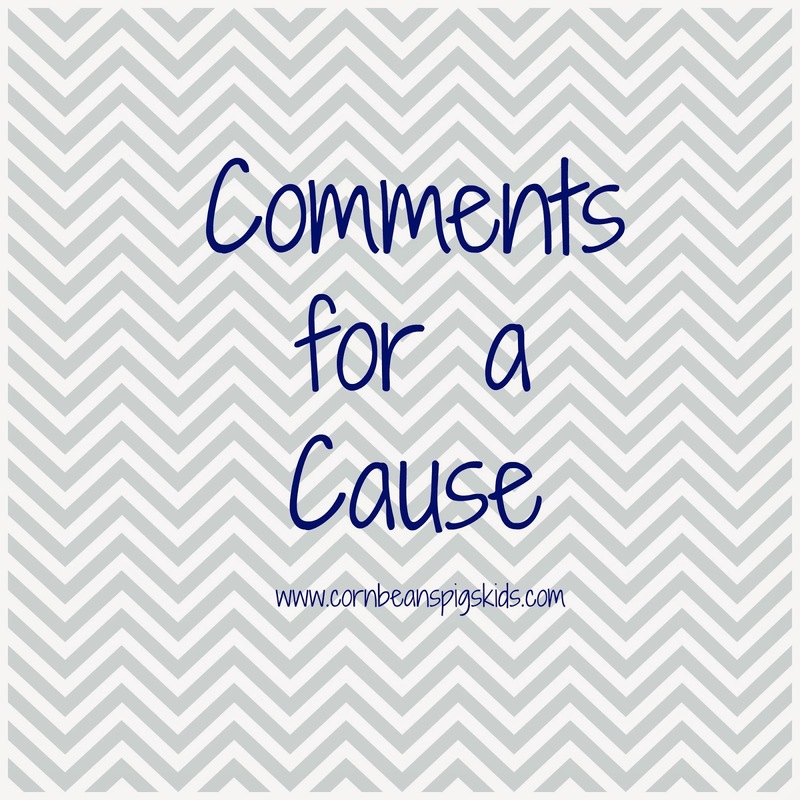 My goal is to start a Comments for a Cause program by choosing a new organization monthly to donate 50 cents for each blog comment to. 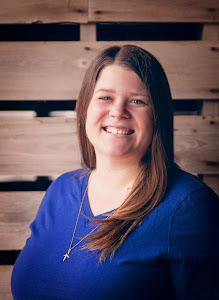 My goal is to attend a blogging conference or gathering by the end of the year to help me learn more about blogging and make more blogger connections. I will ask other bloggers what conferences they recommend to help me determine which one to attend. Happy New Year everyone! What do you do to transition in the New Year?